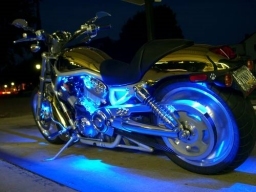 Dress up your boat, motorcycle, truck, RV or just about ANYTHING with our Flexible Strip Lighting. Use them for Christmas lights, Halloween, weddings - you name it somebody has tried it. Extremely low profile flexible Incandescent and LED strip lighting in Cool White, Warm White, Red and Blue. 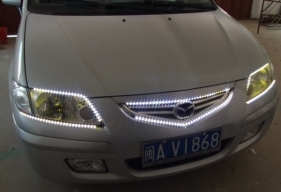 Our Flexible Strip Lights are 100% Waterproof and completely bendable to any shape. 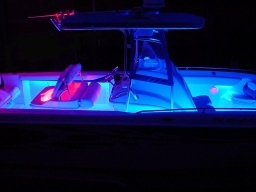 Make your boat stand out from the crowd and add safety as well. Add Flexible Strip Lights down your steps to the cuddy, or around your bed for mood lighting.